I’m excited to announce that we’ve just completed another major upgrade to Character Locator. If you subscribe, you’ll find all these great new features available for you to use. The upgrades include information to plan your Disneyland trip, the ability to create park hopping plans and more. Are you ready for a demonstration? When we first created Character Locator, it was only that, a way to meet as many characters as possible. When I began this blog there was NO character information available. My dream was to expand that and make Character Locator a full PLANNING TOOL. In our upgrade a couple of years ago, we accomplished some of that goal and have continued to improve. Now, we are taking a BIG step forward. (Reminder that this is an unofficial planning site. It is not connected to or provided by any Disney entity). 1. A brand new menu! The menu is now expandable. It allows us to provide you with more content, while using less space. 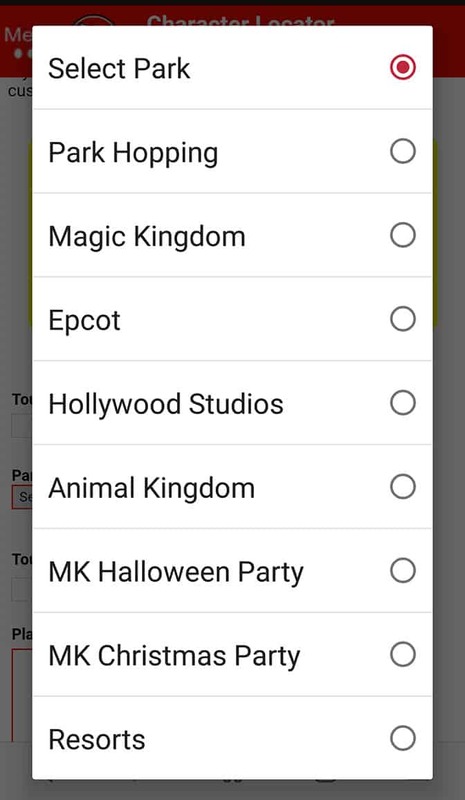 You’ll easily be able to choose if you want Disney World or Disneyland (or other future expansion) information. You can also quickly access your Touring Plans and our terrific Chat Room. 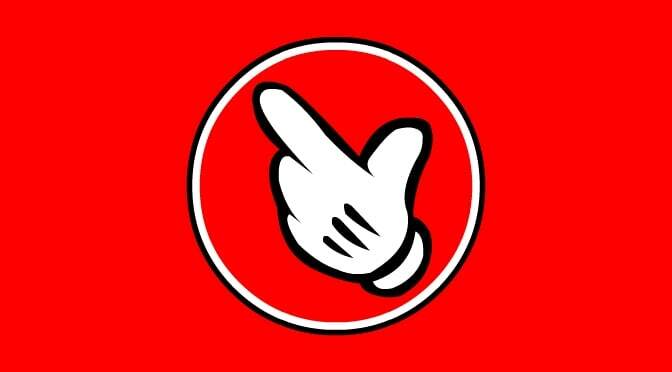 If you click on Disney World or Disneyland, the menu expands and contracts as needed. Oh, you can earn yourself free renewals by using your personal referral code too! Your friend even receives 10% off the subscription as a gift from you. I clicked upon Disney World and the menu expanded down to show you all the great options. You can reach your Touring Plans from here, visit the Crowd Calendar for a view of park hours, extra magic hours and entertainment. 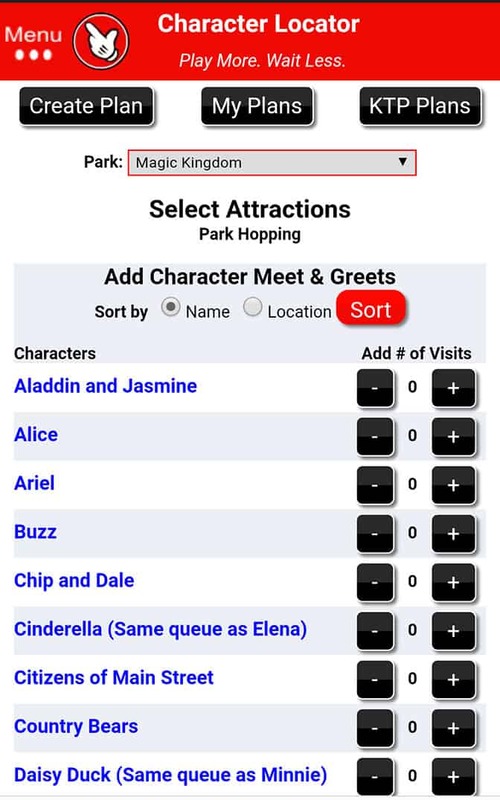 You can also choose any of the 6 parks AND we’ve added Disney Springs to the available information! You can even add Disney Springs to a Park Hopping Plan. We’ll talk about that shortly. 2. We’ve added Disneyland planning information! 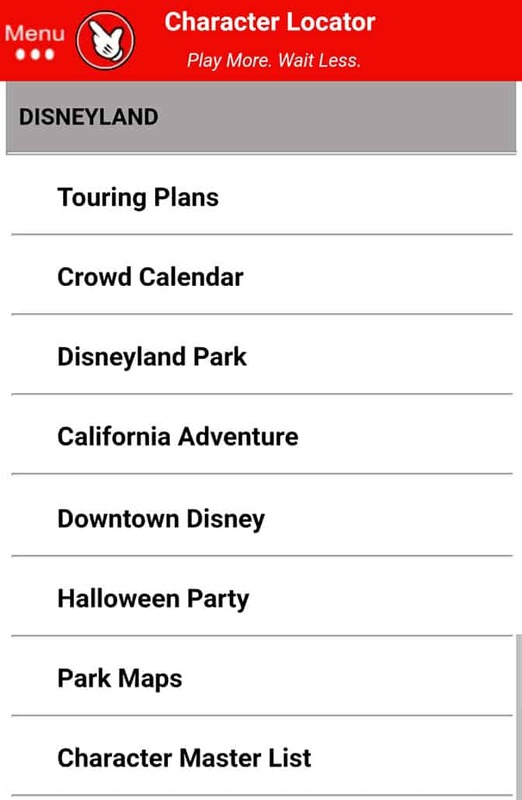 You’ll find Touring Plans, a Crowd Calendar (usually about 6 weeks in advance), Disneyland information, California Adventure Information, Downtown Disney, as well as their version of the Halloween Party (Halloween Party plans to be added soon). You’ll see all the same great categories that have been available for WDW planning. Characters, Shows, Rides, Menus and Extras. 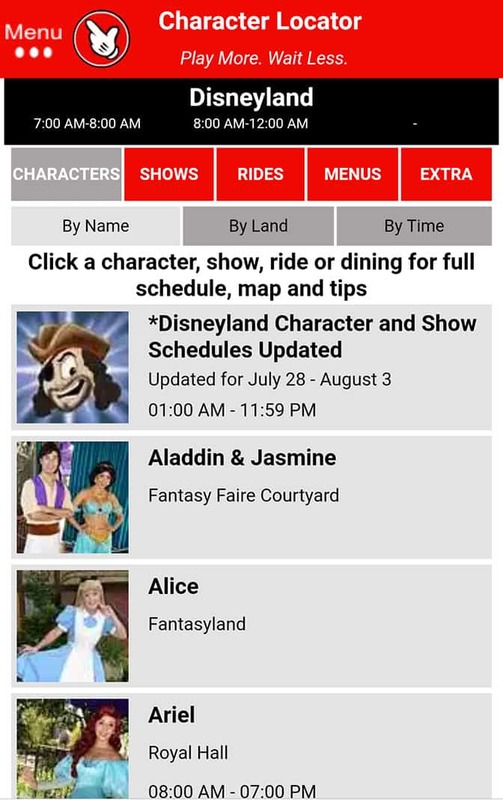 I’ve listed a number of characters that may not provide any type of regular schedule in case you might see them in the park on your date of visit. You’ll have access to some Interaction Tips to banter with characters when you find them. All of these categories are available to add to your Touring Plan. You’ll now see a pop up that asks what type of plan you’d like to build for yourself. Choose “Park Hopping” in order to build such a plan. If you want a single park plan, you can still build those as well, but you cannot change a regular plan into a Park Hopping plan. You must begin with Park Hopping for that feature. 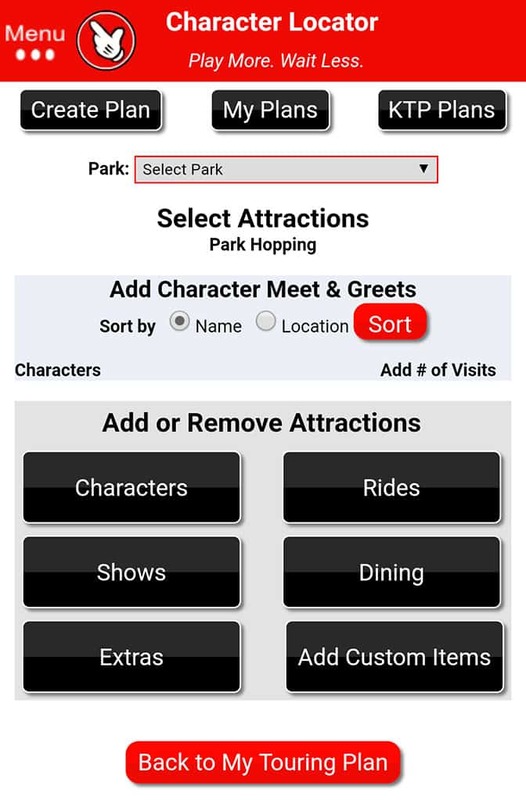 After choosing Park Hopping, you’ll need to select the park in which you’d like to begin. As you can see, I selected Magic Kingdom. After clicking on that, wait 3 to 5 seconds while the information loads. You can then select from Characters, Shows, Rides etc… Just click the little + to add something to your plan or the – to remove it. In order to choose a second, or subsequent, park, you’ll need to use the same park drop down selector to choose your second park. It may seem a bit unusual at first, but you’ll catch on pretty quick. It only took me a couple of minutes to create a Park Hopping plan and BootstrapBob didn’t give me any initial directions. Subscribe to Character Locator now for the best planning tools available for your upcoming vacation. Is there a universal studios section? If not would you add one in the future? Now, you sort them the order you want. It doesn’t order things for you. Thanks! I have u subscription…is this also as an app that can be downloaded? Or is it just through safari? Character Locator is web based only. This allows us to make it available for every phone and computer. the icon, at the bottom of the browser, with the up arrow. Then press “Add to Home Screen”. Now when you open that shortcut it works just like an app. 2. Touch the 3 dot menu button at the top of the browser, then “Add to Home Screen”. Are you subscribed and logged in? I’m SO excited about the Magic Shots listing!!! Thank you!!! Thanks! Did you fix the issue of being logged out every time you re-open the web page? This happens to me on all mobile browsers: Chrome, Safari, etc. It’s pretty frustrating to be logged out every time when I close the browser on my phone. Or please let me know if there is some setting on your mobile site that I’m missing. All you need to do is turn on your cookies and it will store your password. 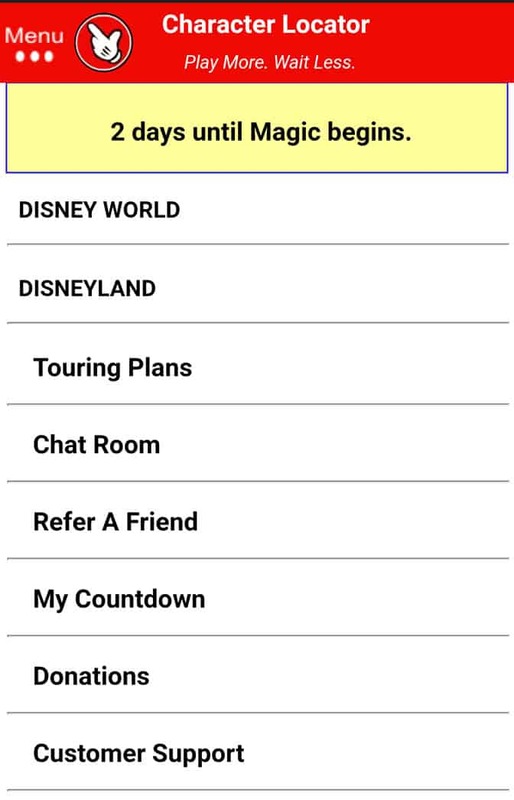 Just a quick feedback, the Locator still lists Wishes as the Fireworks for Magic Kingdom. No. It doesn’t. It says Happily Ever After under Magic Kingdom Shows.